Summer has finally arrived and all of us at Heart of the Shires are very excited. As well as the heat, the sunshine has brought with it a new lease of life for our visitors and shop owners alike. With plenty of outdoor space to enjoy the sunshine in, we thought it was only right to organise some summer events for you to put in your diaries. Frances Quinn, the winner from the 2013 Great British Bake Off, will be judging at our public baking competition. To celebrate their 20th anniversary, Abraxas Cookshop is offering the winner a £100 gift voucher to use in store. Entry for the competition is free and it is up to you what style of cake you make. It could be a simple Victoria sponge or you could create your own ‘showstopper’ using any theme you like. Details on what you need to do to enter can be found here. You can also use the opportunity to get Frances to personally sign a copy of her latest cookbook. The Towcester Studio Band will be playing on our bandstand in the afternoon of Sunday 24th July. With a rich history in brass (over 100 years! ), the group is full of experience and is well recognised in the local area. The band are committed to excel in their music and playing ability in a warm, friendly and well organised way. Come along and enjoy the entertainment whilst exploring our wide range of shops. Three in Accord will be performing on our bandstand on the 7th August. The band is made up of male and female singers accompanied by a pianist. The group will sing songs taken from the soundtracks of popular stage and screen shows including Carousel, Oklahoma, Sunset Boulevard, Aladdin, The Sound of Music and Les Miserables. They will also put their own stamp on some duets, including one made popular by Robbie Williams and Kylie. Tony Fitzpatrick will be coming to the Heart of the Shires to display and talk about some of the birds of prey he keeps and flies – the event will include a talk and demonstration. This is your chance to learn about and get up close and personal with some of the most beautiful creatures. The Cantare Singers have so many members in their choir that they wouldn’t all fit on our bandstand. Around 20 singers from the local male and female group will be entertaining us with a variety of hits. The group’s repertoire spans from opera through to more traditional songs by The Carpenters, Elvis Presley and Elton John. The Cantare Singers will also be having some fun experimenting with songs from shows such as Oliver, Chitty Chitty Bang Bang, Joseph, and Mary Poppins. Together for over 20 years, the group are certainly experienced and know how to keep the crowd entertained. We’re sure that this list will be added to over the next couple of months, so to keep up with the latest news sign up to our monthly newsletter or follow us on Facebook and Twitter. 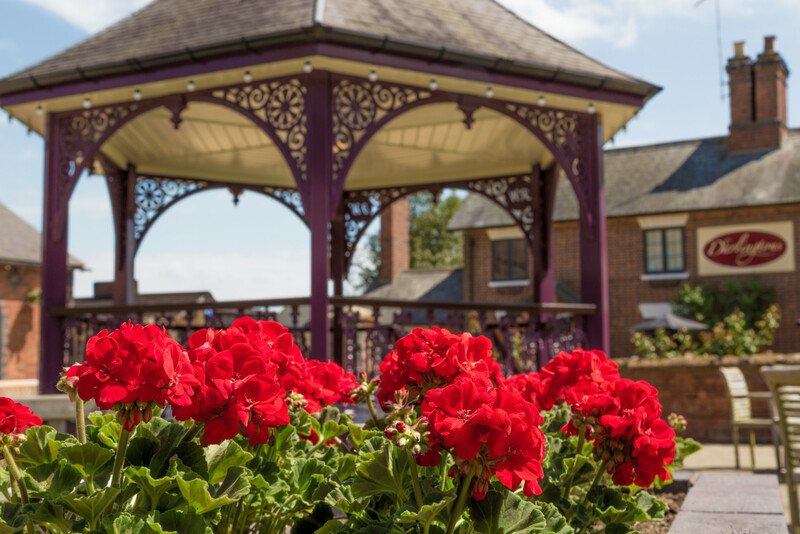 If you are interested in using our bandstand, please drop us an email at info@heartoftheshires.co.uk.